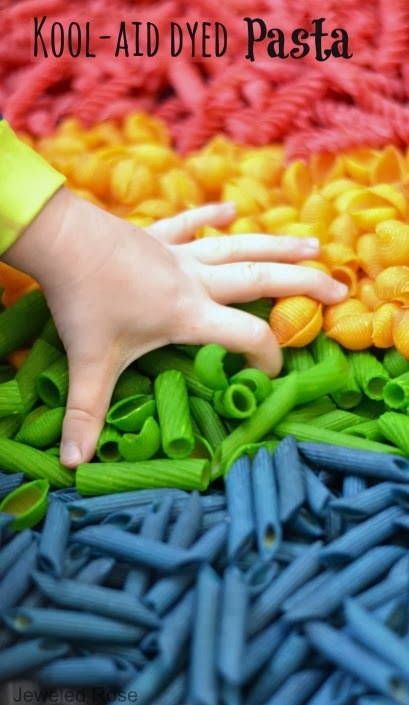 There are so many ways to use dyed pasta noodles in kids activities. 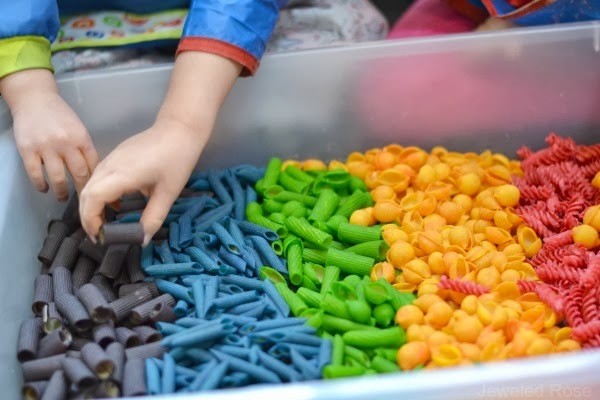 You can use them for arts and crafts, making pasta necklaces, sorting, counting, grouping, simple maths, and for fabulous sensory play.... and that's just to name a few. 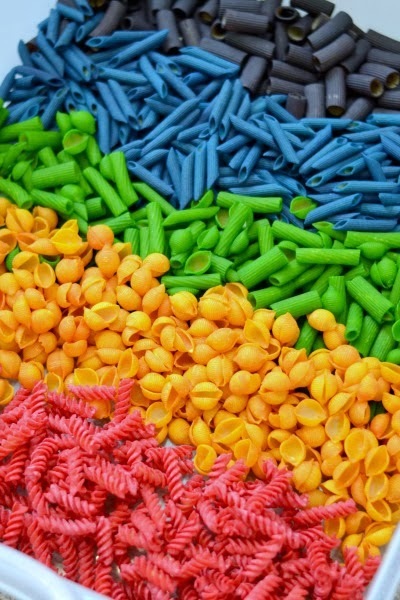 The other day I did a bit of experimenting to see if I could make kool-aid dyed pasta, and it worked a treat! 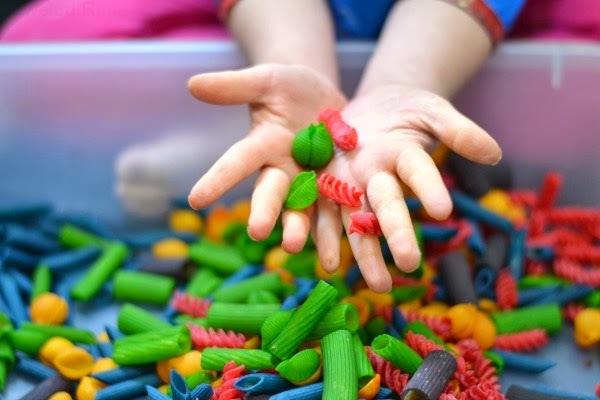 The kool-aid dyed pasta turned out vibrantly colored, and the addition of scent was a simple way to make dyed pasta even more fun! 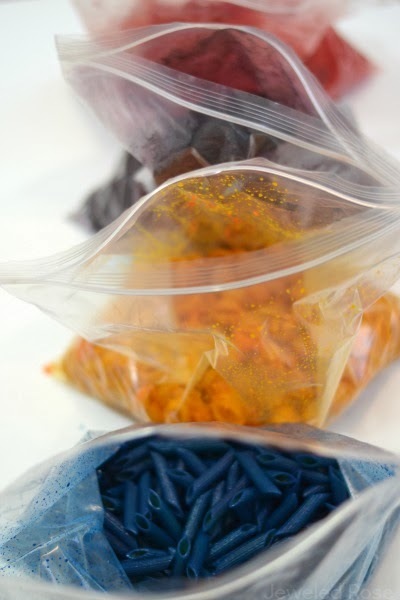 You will need one zip seal bag for each color of pasta you wish to make. 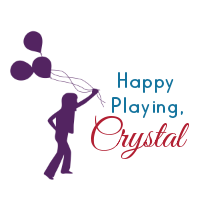 Here is how we made each color. I poured two cups of pasta into each bag. 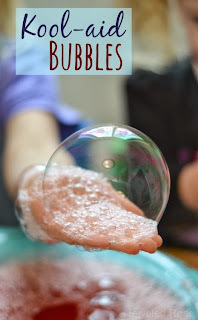 Then I combined 1/8 cups of very warm water with one Kool-aid packet and mixed until the Kool-aid was dissolved. 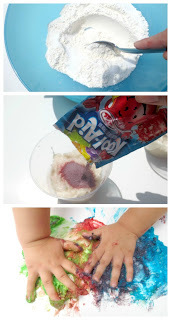 Once dissolved I poured the Kool-aid mixture into the zip seal bag along with several drops of food coloring. 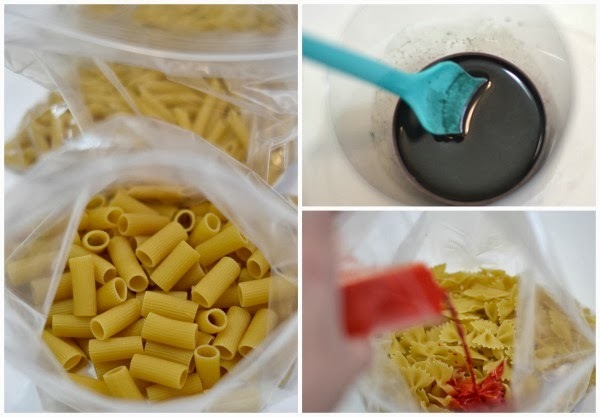 I wanted super vibrant pasta, so I used a lot of food coloring in addition to the Kool-aid, but this step isn't necessary. Then I gave the girls a few kitchen gadgets, and they had lots of fun pretend cooking and serving each other. 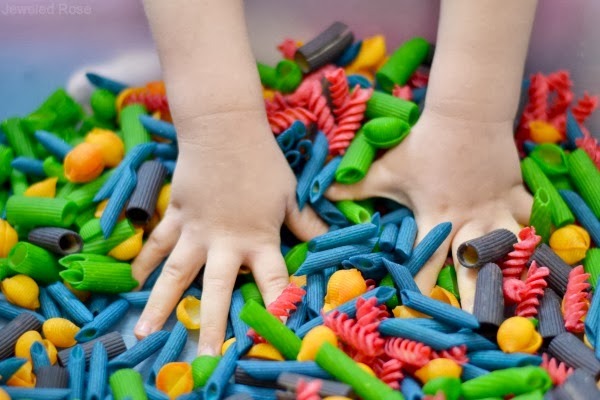 Another great thing about the Kool-aid dyed pasta is that it will last indefinitely; just store it in a covered bin or container between playtimes. 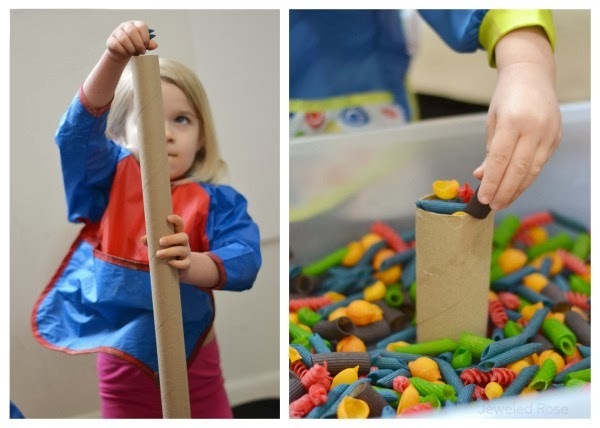 There are so many ways for kids to explore with this simple sensory material, and the noodles are great for crafting, too! 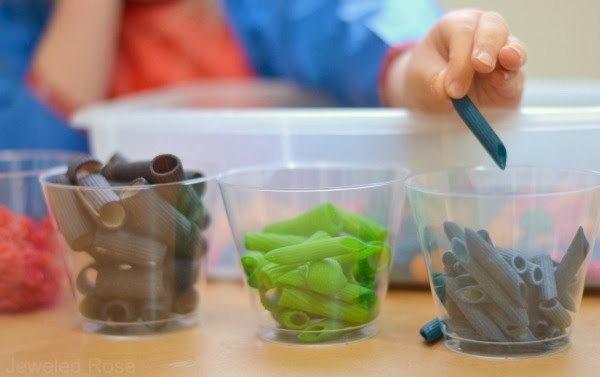 Tomorrow Rosie and Jewel are going to make scented pasta necklaces, and they are so excited!